sewhungryhippie: A bit of a ramble. 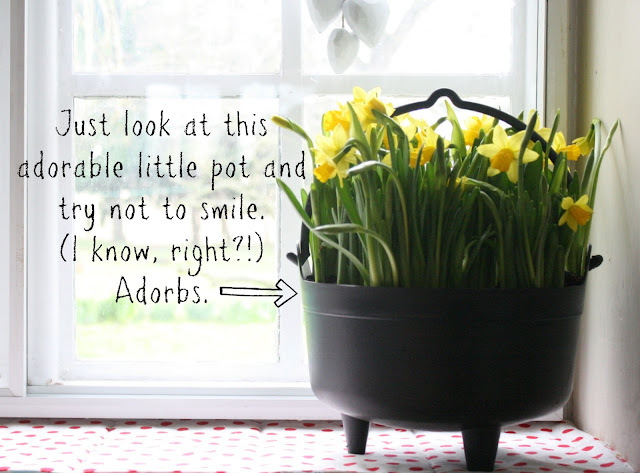 Baby Daffs make me smile, especially in little black Leprechaun pots like this one. I had to have it. 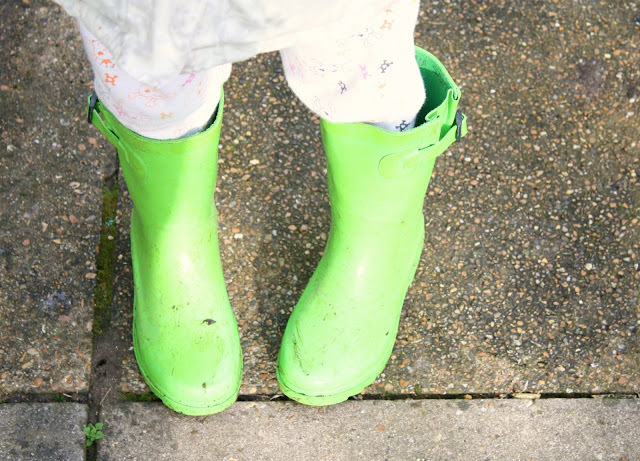 Next year it will be our pot-o-gold on St Patty's Day. (You're thinking what other day would it be lady, geez.) I know. Betcha can't spell Leprechaun right without looking. I was drawn to these flowers with the feather pouf-reminds me of Marie Antoinette. Marie intrigues me. I need to read more on her. I would definitely feel fabulous eating these cookies, no matter the circumstance or locality. There is even Marie Antoinette tea for sale. I haven't found it anywhere but online so far. The pink canister alone convinces me this is a "must buy". 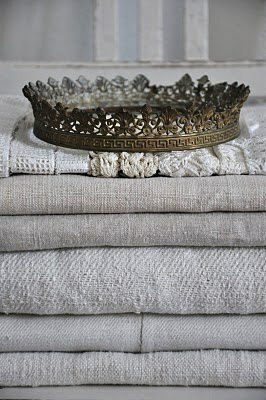 There's my crown, amongst the linen. Doy. OMG did I really just say "doy"? I keep losing my rolling pins. It is completely weird and unexpectedly funny to me that the most odd shaped item in the kitchen I cannot keep track of. I've bought three. I think. Here are some vintage pins I bought at auction, 'cause I knew I'd need them. It makes me wonder what the heck they were rolling with those knicks in there,,,see them? Dang-o-la. We made hand pies with them. More on that recipe another night. I am f-aaa----reeeezzzzzzzing here darlings. Seriously Britain, wet + cold= torture. Pure torture. I have mittens (ok finger less ones) on. I've had a sudden and unexpected obsession with tapestry work. I bought this beauty on eBay and can't stop looking at her. I have another on the way, a lovely English cottage with thatched roof, --'but of course. And since I'm just jumping all around on this post, why not venture into eggs and egg holders, and umm....egg cookers. I suppose Easter has me thinking of eggs. Or maybe it's my age. Suddenly I picture my ovaries with gray hairs and spectacles. Or maybe it's because my husband might be coming home soon after so many dang tours that it makes me sick of the military right now attitude run on sentence are you gasping for air yet? 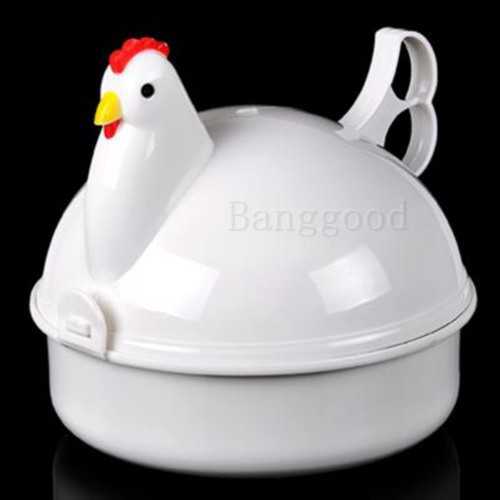 Is it somewhat irrational that I want an egg cooker in the shape of a chicken? Just for kicks. Just because. I want to find some pretty (hopefully not tacky) egg cups and do this bit at Easter. You know, dunking the toast bits into the egg. I'm told it's "quintessentially English" and serious comfort food. Just to leave you in style, I'm sharing a sneak of something I made today. Just a peek. More later if all goes well. You know I'll share even if it doesn't go well. I followed a free pattern by Joann's fabric store. But now that I'm looking at it--- I'm wondering...Oh dear! It might have gone horribly wrong.